It can be so simple, and subtle, that we are influenced on how we feel and react. This is the goal for graphic design. One of the lesser-known, but not necessarily less powerful, ways to invoke emotion is simple, colours. How Can You Ensure That Your Finished Graphic Design Reflects Your Brand? Ensure that the design of your printing and print media is aesthetically balanced and visually appealing. Stay true to your brand’s identity is vital. Printing should remain simple and to the point, advertise your business and inform prospective customers about it. 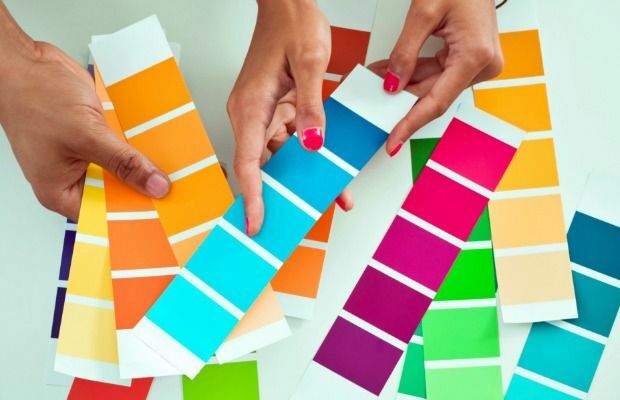 Pick A Colour That Reflects The Tone Or Mood Of Your Brand. Every brand has its own distinctive tone, whether it be subdued and professional, or upbeat and energetic. Tones need to be chosen carefully and are exuded properly through your design, otherwise it can adversely reflect on the business branding and message. Colours can evoke different tones and moods, so it’s worth your time choosing a colour scheme that matches the design of your brand. If you wish to evoke a calming and professional tone, you may wish to use soothing blues alongside dark, rich colours which hint at respectability. If you want to create a more exuberant aesthetic in your print marketing, consider using brighter colours such as yellows and reds. Take an extra minute to focus on the colours used in popular logos, then think about how it makes you feel, and think. Has the logo done it’s job? Has it invoked emotions and/or feelings that match the brand? If so, then it has successfully performed its job. The font you use in your printing can have a huge effect on how it is perceived. Decide how you want your brand expressed. Is it simple and approachable? Or playful and quirky? Think carefully about the font that resonates best with the message. Photographs and images can have a major impact on the tone of your printed media. For example, images that show customers or employees smiling and looking happy while dressed casually create a more approachable, open aesthetic, whereas images that show people with a more serious demeanour create a more austere and more respectable tone. By choosing the right images, colours and fonts, you can ensure that the graphic design of your printed materials will always reflect your brand identity and your printing will be in balance with your other marketing mediums. This will help you uniform your brand identity and subtly tailor your brand persona, this will pull ahead of other businesses in your market sector and lead to increased sales.